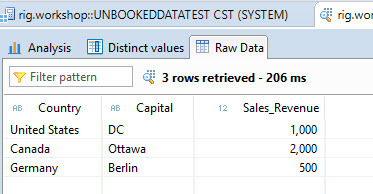 This blog will cover how Unbooked data can be shown in SAP BusinessObjects Cloud when using the Live HANA connection. Before we get into the details let’s first understand what is meant by unbooked data. 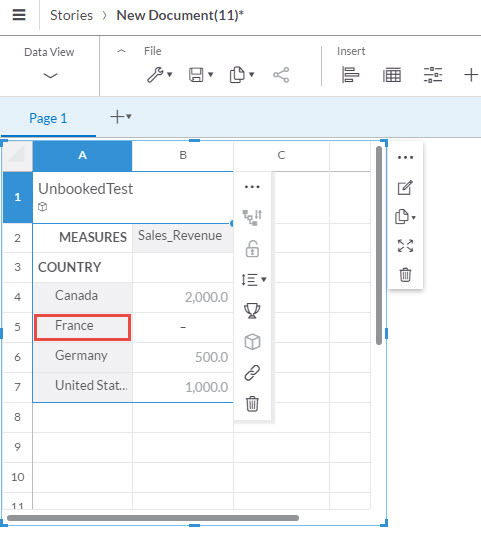 Notice that France doesn’t have any corresponding Sales Revenue figures in the facts table, which means there is no booked data available for France. 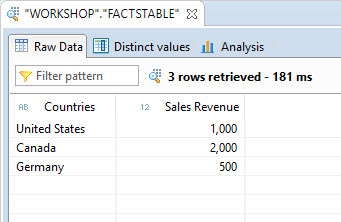 I’ve built a simple HANA Calculation view on these two tables to show the model may not always expose the dimension values that don’t have any booked data. 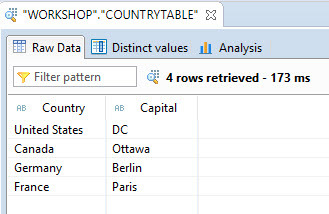 In my view, the tables are joined together with an inner join which would exclude any dimension values from the result set that don’t have a corresponding entry in the fact table. A data preview on the model shows that France is excluded from the result set. 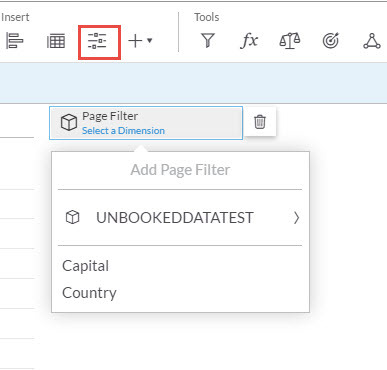 As a business user, I may also want to see not just booked data, but also unbooked data. 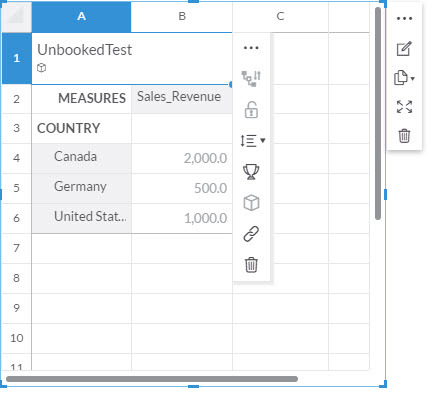 We can use HANA’s value help features in conjunction with SAP BusinessObjects Cloud features to see both booked and unbooked data. Click on Semantics and select a dimension. In my case this is the Country dimension. 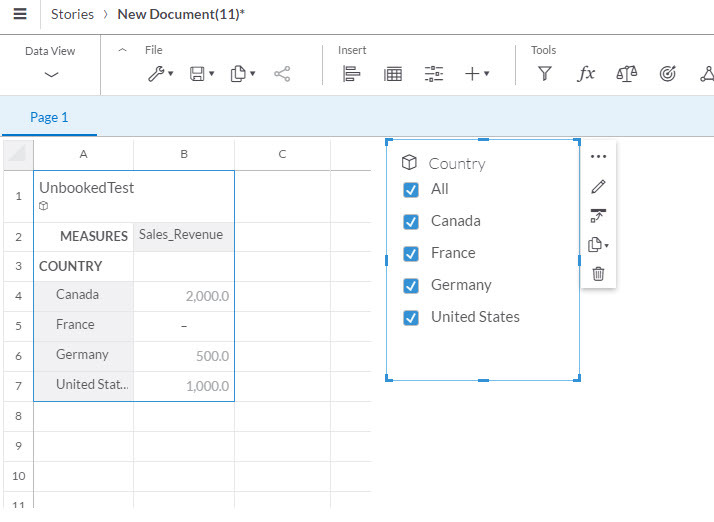 Click the Assign Semantics dropdown and select Assign Value Help View.. Pick the Country field from the Country table. The Value Help Column should reflect the selected value help field. Save and Activate your HANA model. 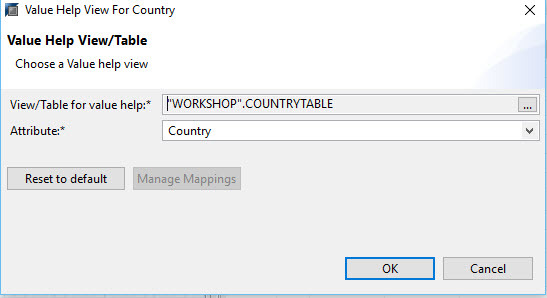 Add a table component to the canvas and add Country to the Rows area. Notice that France is not shown. 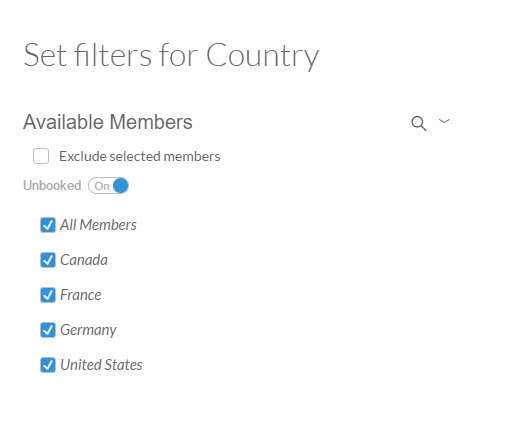 Similarly Unbooked option is also available for Input Controls and Filters. 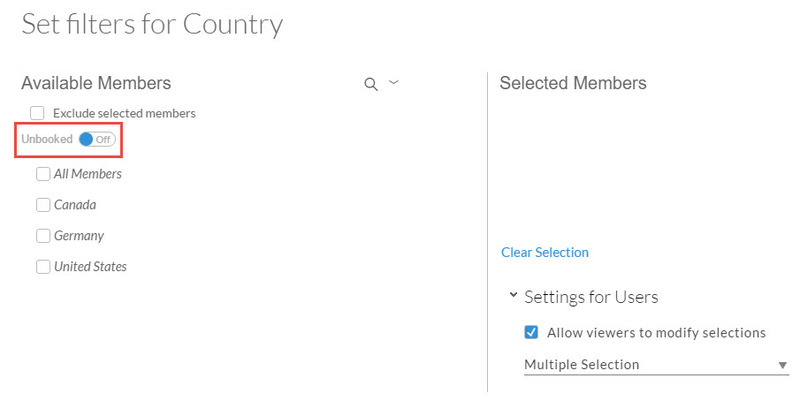 Add an Input Control on Country and enable the Unbooked toggle. France should now be listed as one of values that can be used in the Input Control. Once you have saved data in an unbooked intersection. Even if you zero it out it’s no longer “unbooked” data. Is there a way to “compress” or eliminate 0’s in SAC? Thank you for confirming John! I stumbled upon this feature not too long ago. Hope you’re doing well.